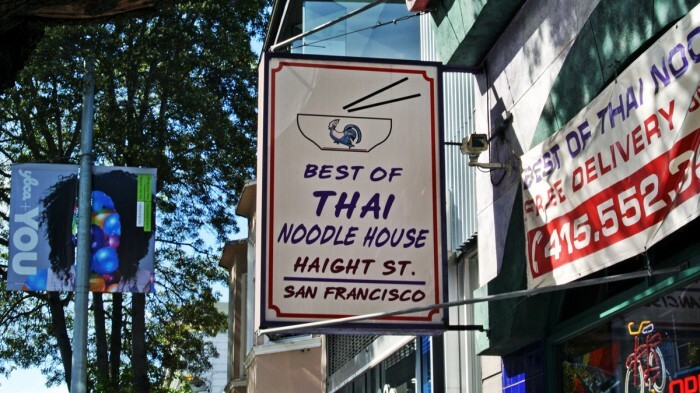 *Editor’s Note 10/23/15: Best of Thai Noodle is under new ownership and is for some reason rebranding as Hippie Thai Street Food, presumably with a similar menu. Only time will tell if the food is the same. In the vibrant, artsy, dirty hippie-filled San Francisco neighborhood of Haight Ashbury, amongst the many clothing and bong shops, there are many dining options. 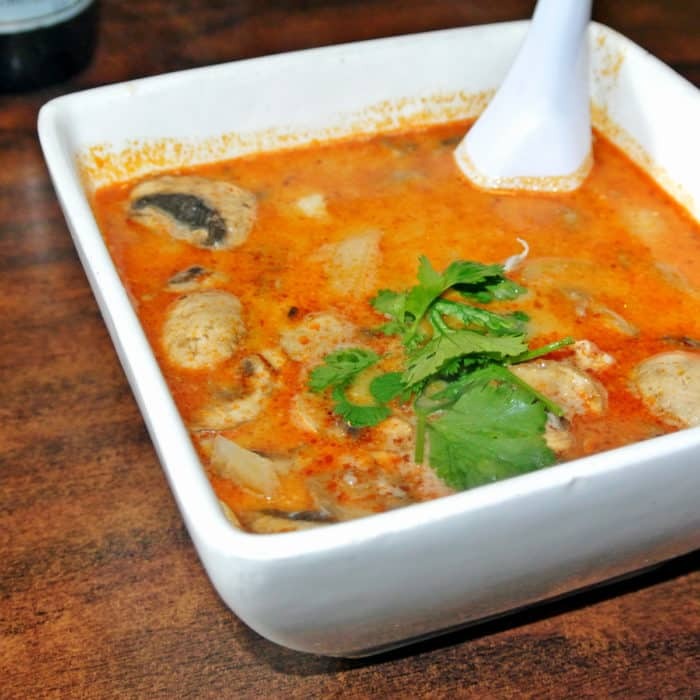 Wading through the good and the bad isn’t always an easy task, but I found a wholly unnoticed gem of a lunch spot called Best of Thai Noodle hidden in plain sight right on the main drag. 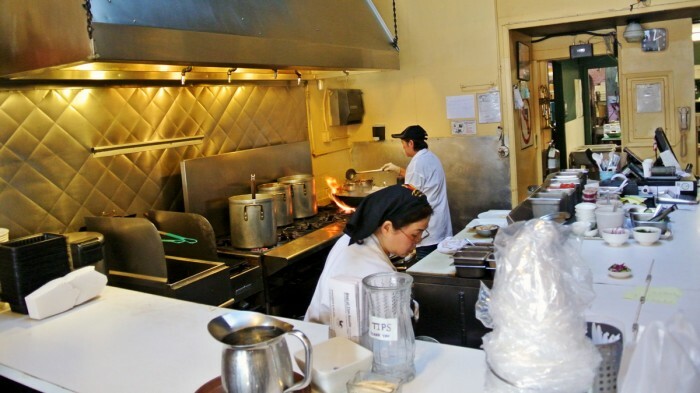 It was a fairly small restaurant by Californian standards, but still had a tall, lofty ceiling and a big kitchen with fiery flaming woks open to the dining area. With just one glance at that wok setup and inferno, I knew this was gonna be great. I started off the meal with a bowl of Chicken Tom Kha Soup. Somehow this massive bowl was just their half portion. And it was absolutely delicious. It had really great, complex flavors including plenty of coconut milk. And though the chicken was not very tender or interesting, the rest of this funky, spicy, sour, soup was great and really made up for it. Now, I love Thai noodles. And I really love the stir-fried wide rice noodle dish Pad Kee Mao. But I think that the Pork Pad Kee Mao at Best of Thai Noodle might be the most incredible version of the dish I’ve ever had anywhere. The noodle portion was massive and they achieved a great smokey ‘wok hay’ flavor from the super-heated wok firing. Also, there was an excellent caramelization on the edges of the tender, ground pork and noodles. All together there were great flavors and textures in this dish and I’m still dreaming about it today. 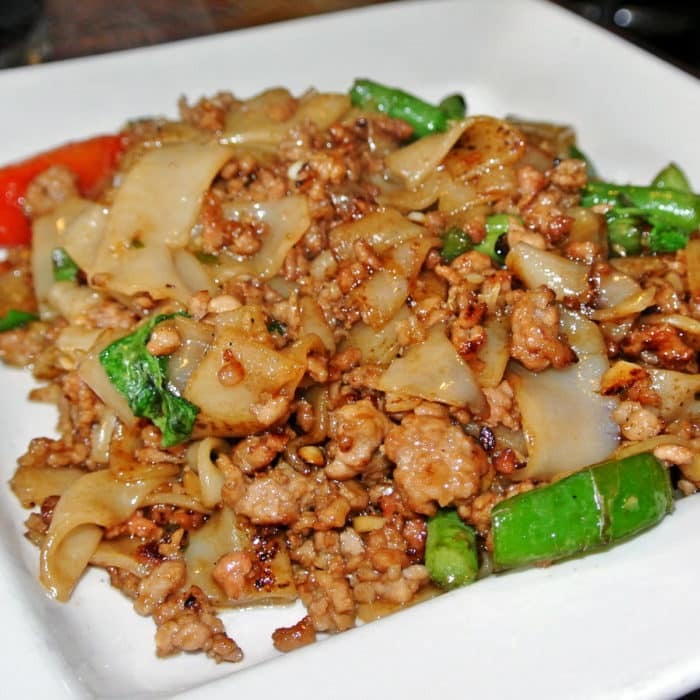 So if you’re in the Haight Ashbury neighborhood of San Francisco, make sure to stop in to Best of Thai Noodle and get their Pad Kee Mao. Or get any of their wok-fried noodles for the matter. Just go, they’re really something special. Got another cheap ethnic eatery in SF I should check out? Let me know in the comments below.